It was with delighted surprise that I stepped out of the office at lunchtime today, into the crisp autumn sunshine, to have my senses surrounded by the smell of cut grass and the sound of a lawnmower and the sight of clumps of cut grass on the lawn. Yes! 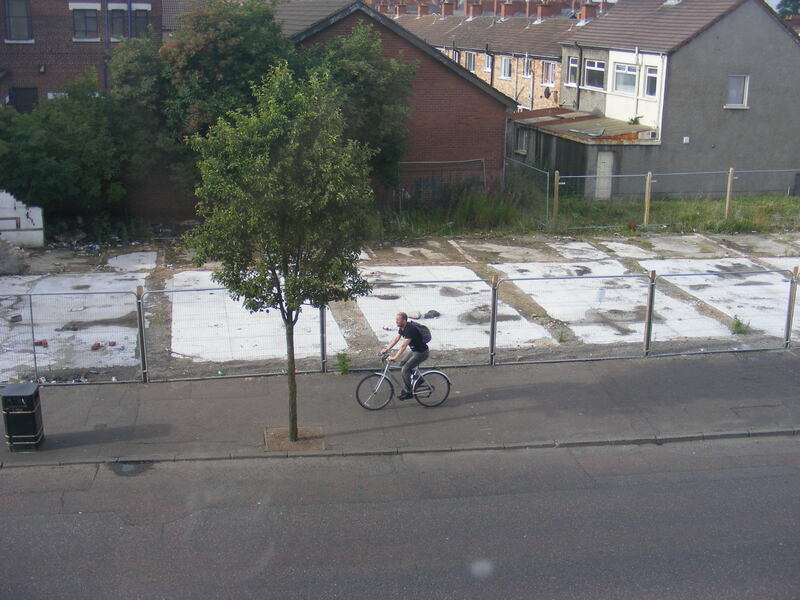 The lawn…across the road from the Stepping Stone building on the Newtownards Road in the middle of inner east Belfast. The community garden really is a garden now that we have to cut the grass. 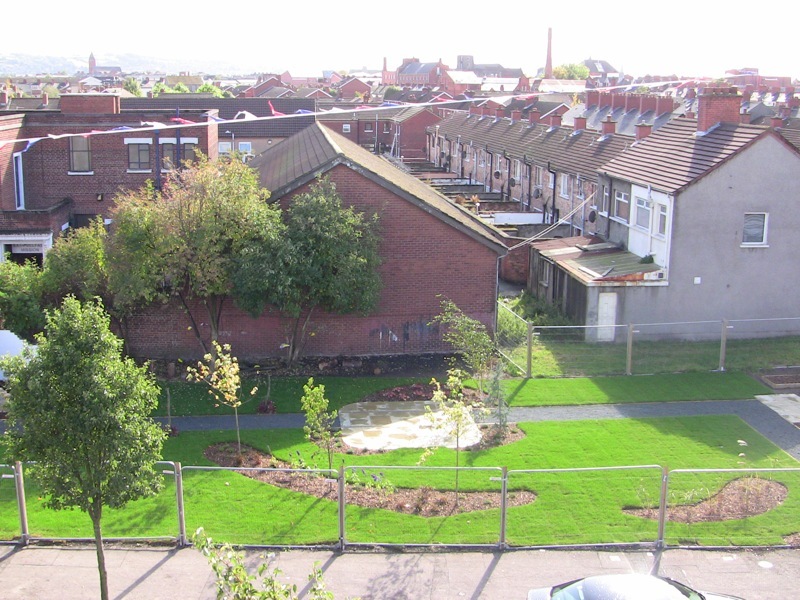 Here is a picture of the site, after last November’s demolition of the shop units. And here it is following the creation of the garden. It’s a fantastic promise of what could be even in a place as blighted as inner East. What a fantastic picture! Congrats! Great to see something hoped for come to fruition! There is a common shared ideology in regards to the Tree of Life. Listen to this free audio blog on the Spiritual connection to Source. Thanks Glenn, very cool to see.